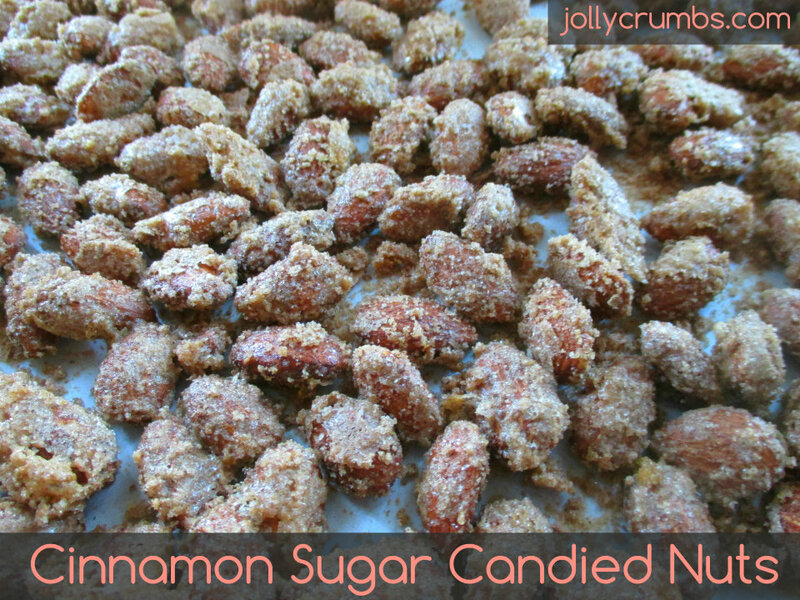 Not only do these taste exactly like the carnival candied nuts, these are even better. These are all natural, which I love. They only contain egg whites, raw nuts, cinnamon, brown sugar, and granulated sugar. There is minimal work involved in making these, and they are so worth it. These candied nuts are addicting. 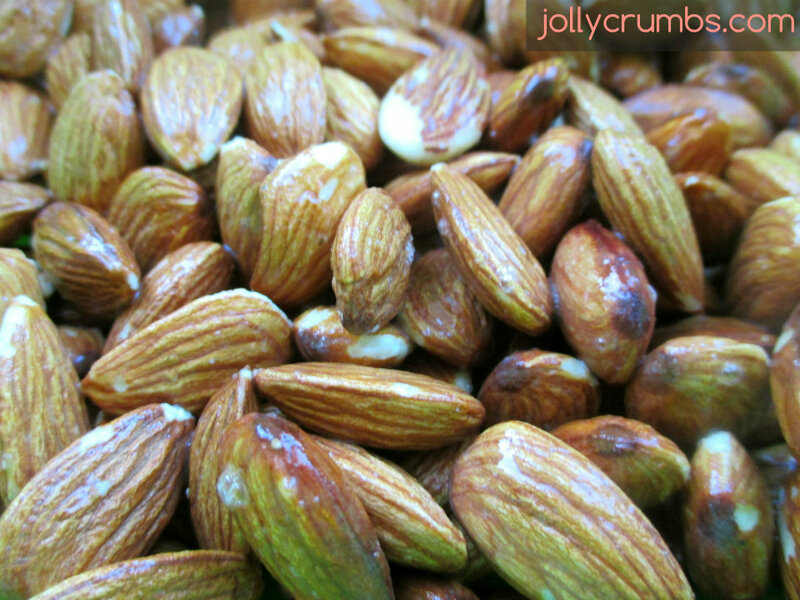 The crunchy, sweet shell is perfect on these almonds. Feel free to use your favorite nuts in this recipe. I went with all almonds this time. I’m seriously impressed by these nuts. They are perfect for the holidays, or for times of reminiscing of fairs or carnivals. First, whisk the egg whites and water until it becomes frothy. It doesn’t take long to do this if you use the liquid egg whites. If you use an egg white from an egg, whisk for about 2 minutes to get it frothy. In a separate, medium bowl combine the sugars and cinnamon. Stir this until there are no lumps of sugar. Set aside for now. In a large bowl, combine your nuts with the egg white mixture. Stir until the nuts are all well coated. If you have excess liquid, carefully pour it out. You do not want excess liquid on the pan when you bake these. When the nuts are coated in the egg white mixture, and any excess liquid is poured out, add the sugar mixture to the nuts. Stir the nuts and sugar together until all the nuts are evenly coated. Once the nuts are coated in the cinnamon sugar, spread them out evenly on the prepared pan. You want all the nuts in a single layer on the pan. If you don’t spread them out evenly, they will clump together and not bake properly. Give the nuts a stir halfway through the baking. This ensures the coating is baked evenly on all sides of the nuts. Once they are done, let them cool completely before enjoying. If you don’t let them cool, the nuts will be softer and not as crisp. They will firm up as they cool. These candied nuts are phenomenal. Not only do they taste delicious, they smell amazing while they bake. 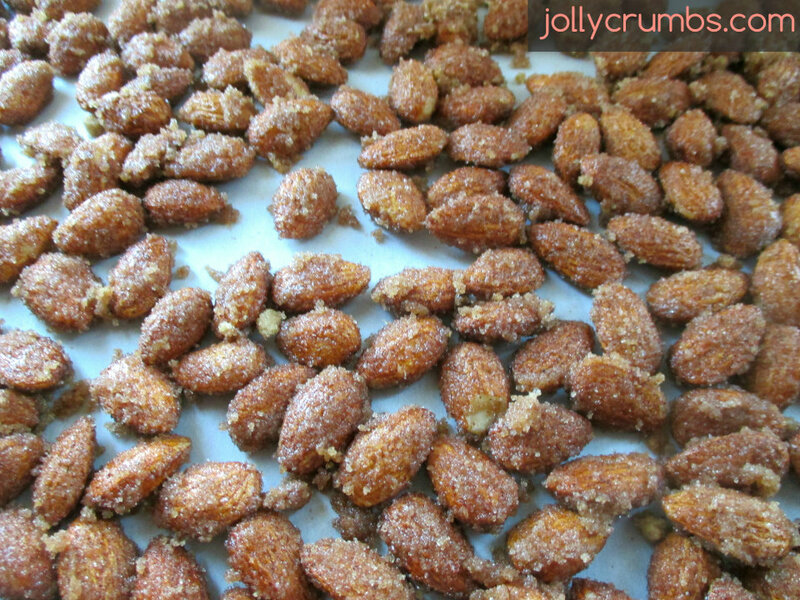 My goal was to make candied nuts similar to the ones you buy at fairs or carnivals. These are so much better. They are sweet, crunchy, and nutty. It was easy to make these nuts, and they make wonderful gifts. I will be bagging these up for my employees for Christmas presents. These are so delicious, I will be making them again for my family for Christmas treats. This is the perfect treat to break up the chocolate sweets at Christmas. Samuel wouldn’t stop snacking on them, so I know they are dang good. Preheat oven to 300°F. Line a baking sheet with parchment paper and set aside. In a small bowl, whisk together the egg whites and water until it is frothy. In a medium bowl, combine the sugars and cinnamon. Stir until there are no lumps of sugar. Set aside. In a large bowl, combine the nuts with the egg white mixture. Stir until it is all well combined. Stir in the sugar mixture until all the nuts are evenly coated. Spread the nuts onto the prepared pan in an even layer. Bake in the oven for 20 to 25 minutes, stirring the nuts halfway during their baking. Let them cool completely before serving. I used all almonds for this recipe. However, you can use whatever nuts you prefer. Pecans, walnuts, peanuts, and cashews would all be delicious in the recipe. Whatever nuts you choose, just make sure you have 3 cups of raw nuts. When you combine the egg white mixture and nuts, if you notice excess liquid, carefully pour it out of the bowl. I drained my excess liquid into the sink. Looks yummy! I love the combination of cinnamon and sugar. Growing up my mom would make for me toast with butter, cinnamon and sugar. It was so good! My mom did the same exact thing! She would stick it under the broiler to get it crispy with the butter, cinnamon, and sugar.